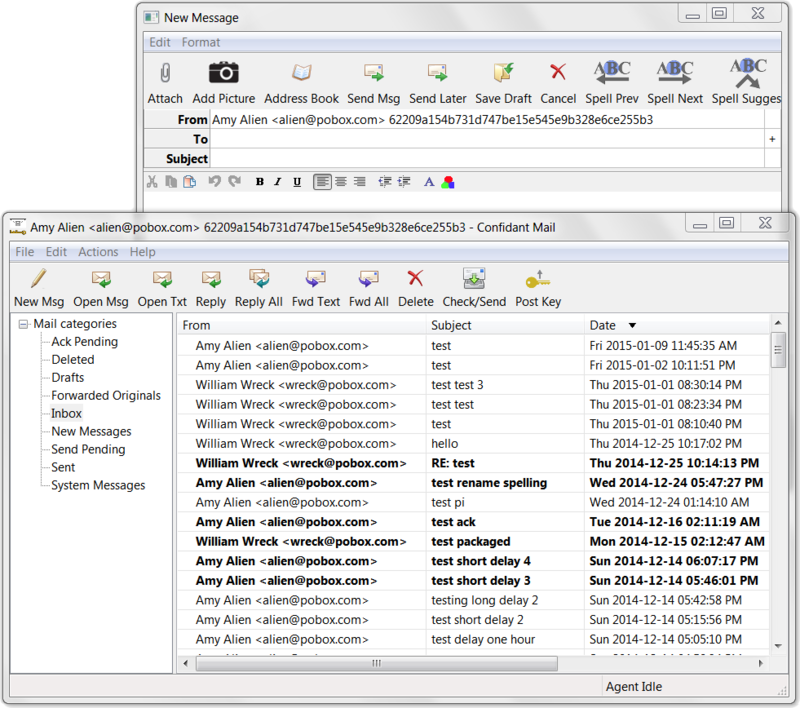 Confidant Mail has been ported to wxPython 4.0.3, which is a major release of the user interface toolkit and required significant code changes. This version also uses OpenSSL 1.1.1 and supports TLS 1.3 if connected to an upgraded server. TLS 1.3 has been verified using ssldump. The Windows version includes OpenSSL 1.1.1 DLLs which I compiled from source. This version is intended for testing right now. The toolbar icons are further apart because of a change in Wx: previous versions used variable spacing; version 4.0 uses the widest icon text to set the spacing for all of them. So far I have not found a way to turn this off. If you try this version out, please report any bugs.